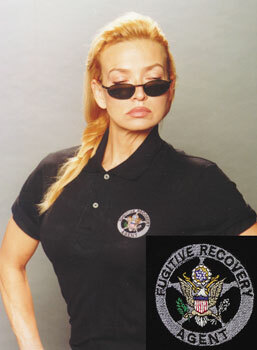 Winter is here, and due to the colder weather we offer our Fugitive Recovery Nylon Raid Jacket. 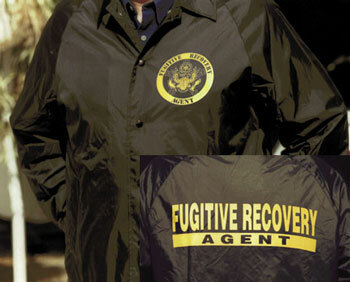 Made with highly visible golden writing, this jacket slips easily over any agents clothing and has a full zipper. Its golden design is made to match our E68 style t-shirts and is masterfully screen printed by NIC's professionals. This 100% nylon coach style raid jacket is windproof and coated for water resistance. It's stylish enough to wear both on and off the job and is sure to give years of great fashionable use. Get yours today! Available in L, XL, and XXL.